This post was updated on 2016/08/13: added python-rapidjson; updated simplejson and ujson. A couple of weeks ago after spending some time with Python profiler, I discovered that Python’s json module is not as fast as I expected. I decided to benchmark alternative JSON libraries. 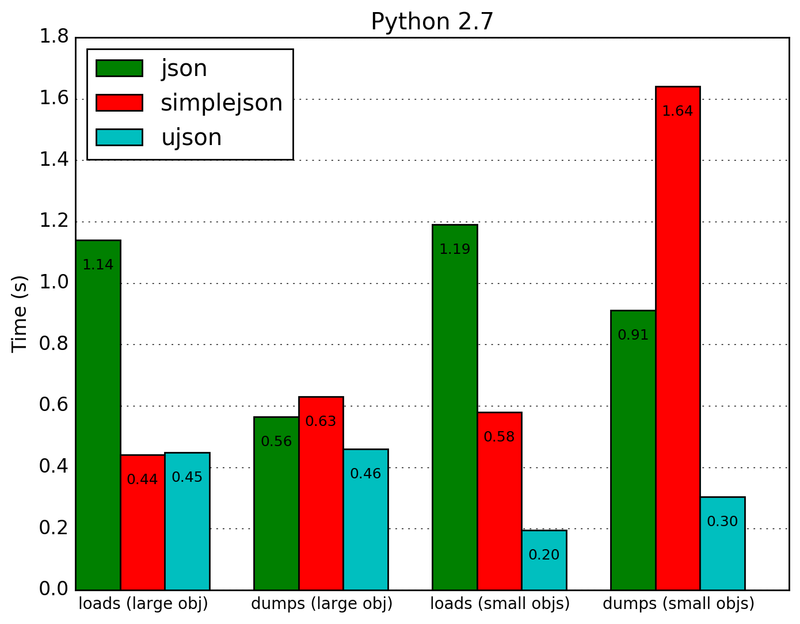 python-cjson, yajl-py and jsonlib are not included in the benchmark, they are not in active development and don’t support Python 3.
simplejson and ujson may be used as a drop-in replacement for the standard json module, but ujson doesn’t support advanced features like hooks, custom encoders and decoders. 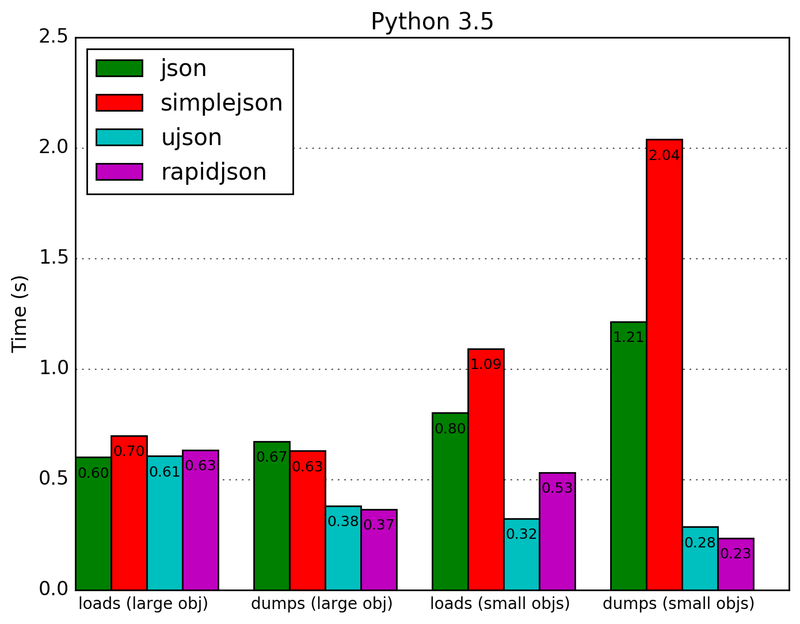 ujson is not compatible with PyPy; python-rapidjson is compatible only with Python 3. The tests were performed on MacBook Pro Late 2013 (2.6 GHz Intel Core i5, 8 GB 1600 MHz DDR3, Mac OS 10.11.6). Every test runs 100 times. I published the source code of the benchmark on GitHub. You can clone it and rerun if you want to check it by yourself or if a new version of an alternative JSON library is released. The numbers speak for themselves. If your application is dealing with a big amount of JSON data and doesn't use any advanced features of built-in json module, you should probably consider switching to ujson.